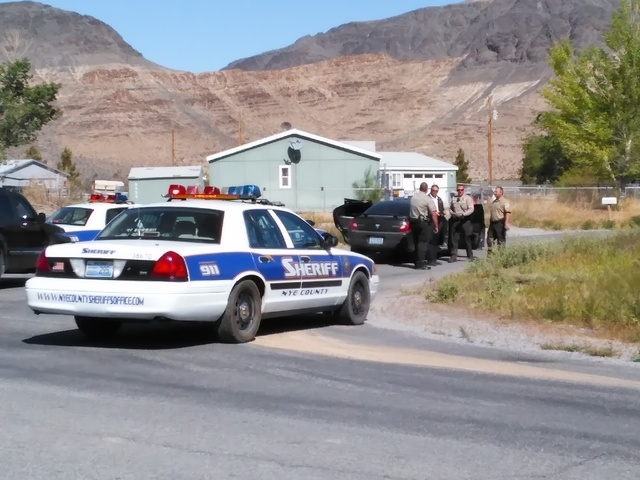 A man led Nye County Sheriff’s deputies on a high-speed pursuit just before 10 a.m. on Tuesday. The chase began in the area of North Barney and Pittman streets when deputies initiated a traffic stop on a black subcompact car bearing no registration. The unidentified man reached speeds of more than 100 miles per hour during five-plus minute pursuit, which ended at the corner of North Majestic View Street and Palm Drive, when deputies conducted a felony stop on the vehicle. Pahrump Valley Fire and Rescue crews were also summoned after a small brush fire broke out at the scene. The driver was apprehended and transported to the Nye County Detention Center on yet-to-be-disclosed charges.